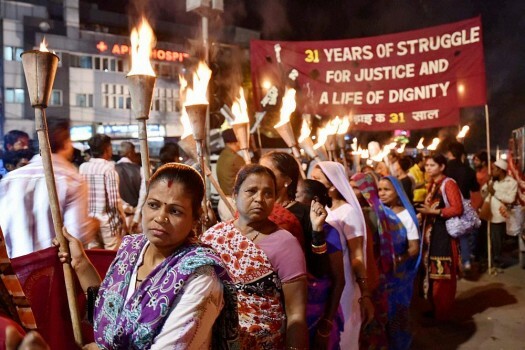 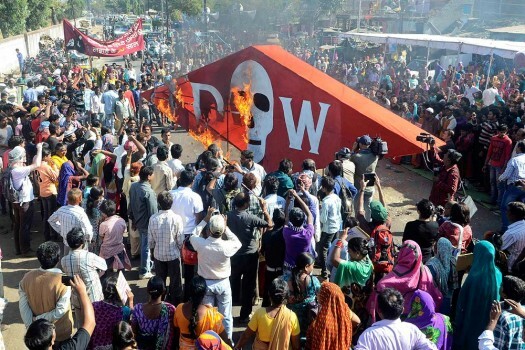 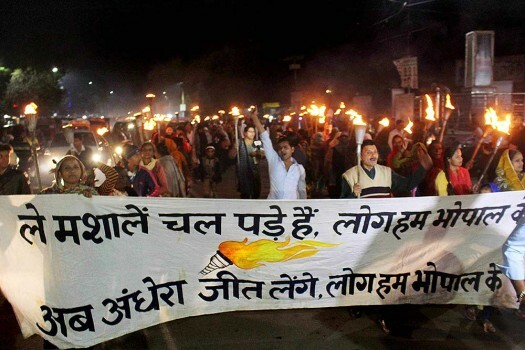 Survivors of the 1984 Bhopal Gas Disaster take part in a torch rally on the 34th anniversary of tragedy, in Bhopal. 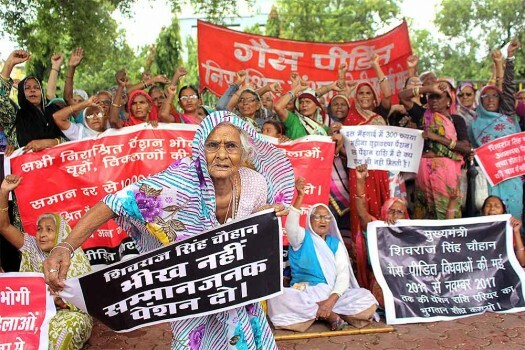 Members of 'Gas Peedit Nirashrit Pension Bhogi Sangharsh Morcha' stage a demonstration demanding hike in their social security pension in Bhopal. 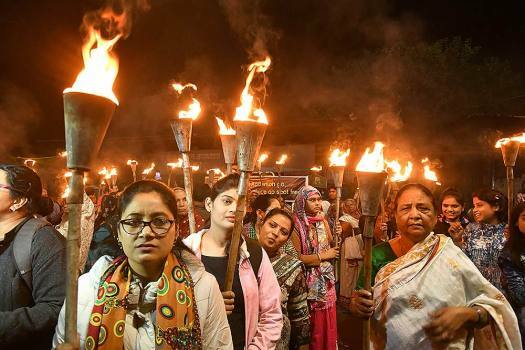 Survivors Bhopal gas leak during a candle light vigil to pay tributes to the people killed in gas tragedy, on 33rd anniversary of gas disaster in Bhopal. 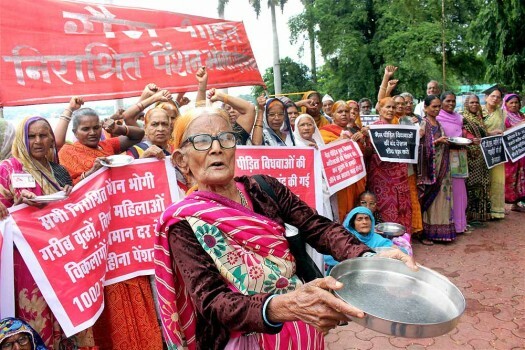 Destitute and elderly survivors of Bhopal Gas Tragedy protest in front of the state assembly demanding for hike in their social security pensions, in Bhopal. 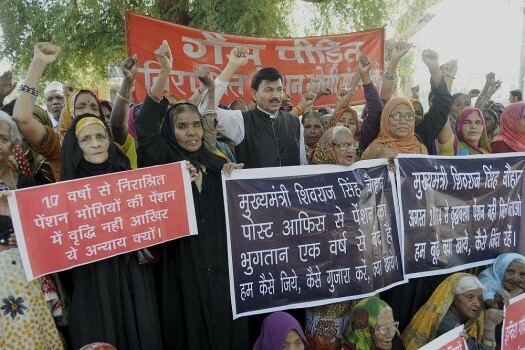 Survivors of the Bhopal Gas Tragedy taking out torch rally at the abandoned Union carbide factory, on the eve of 31st anniversary of disaster in Bhopal, Madhya Pradesh. 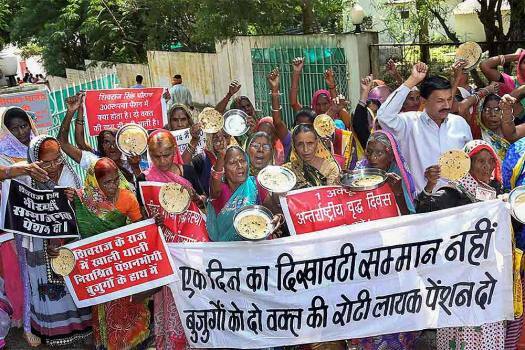 Gas tragedy survivors demonstrate against MP Chief Minister Shivraj Singh Chouhan demanding for hike in their social security pension and better medical facilities, in Bhopal. 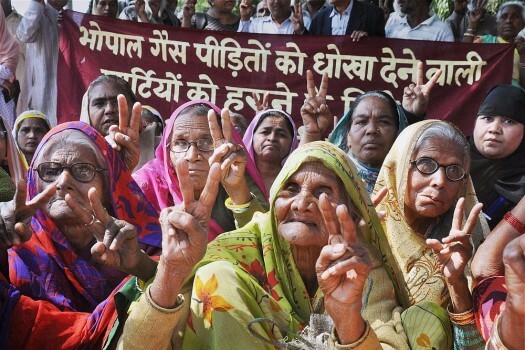 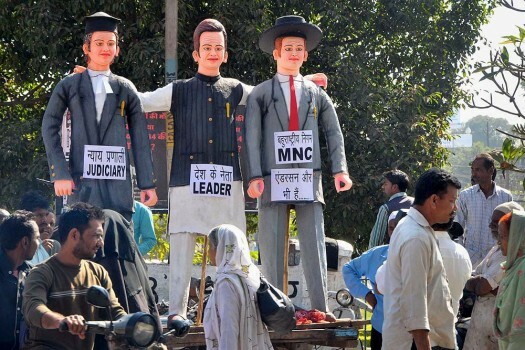 Victims of Union Carbide gas disaster celebrate and congratulate the Aam Aadami Party for their thumping victory in Delhi elections, in Bhopal. 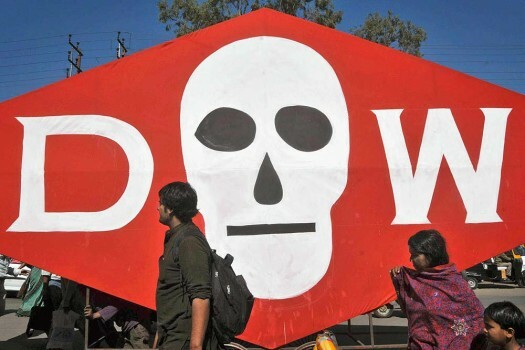 Members of various organisations representing victims of the Bhopal gas leak participate in a rally on the 30th anniversary of the Bhopal gas tragedy in Bhopal. 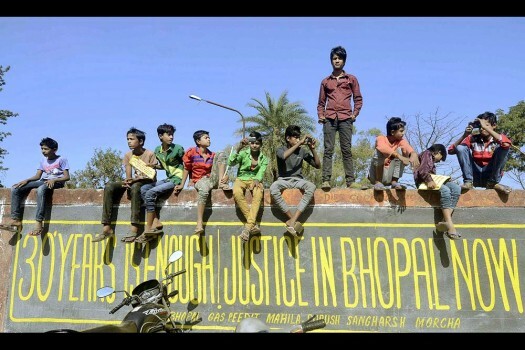 Children sit on the wall of the abundant Union Carbide factory as they watch a rally on the 30th anniversary of the Bhopal gas tragedy in Bhopal. 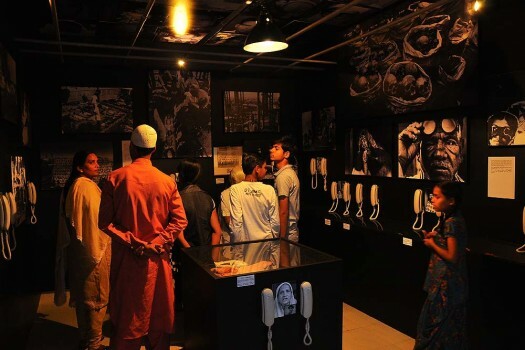 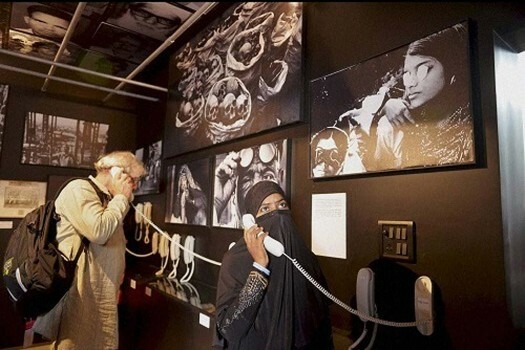 Visitors listen to taped audio testament of Gas Victims at the 'Remember Bhopal Museum' in Bhopal. 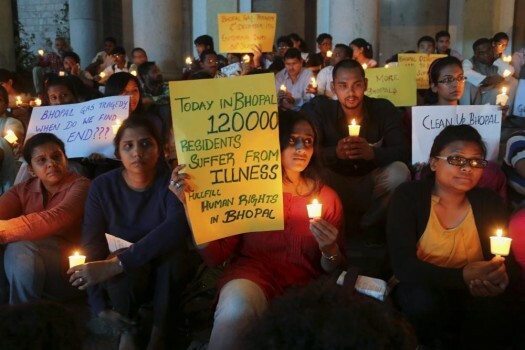 Activists participate in a candle light vigil to express solidarity with the Bhopal gas tragedy survivors on the eve of its 30th anniversary in Bangalore. 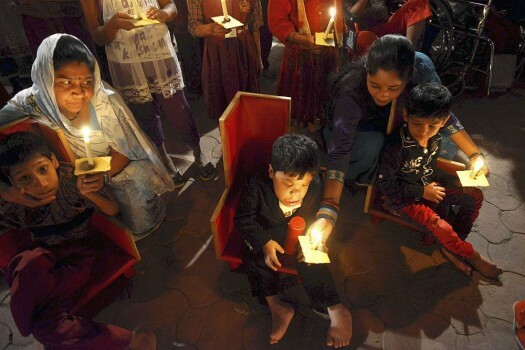 Victims of the Bhopal Gas Tragedy take part in a candle light vigil to mark the 30th anniversary of the tragedy in Bhopal. 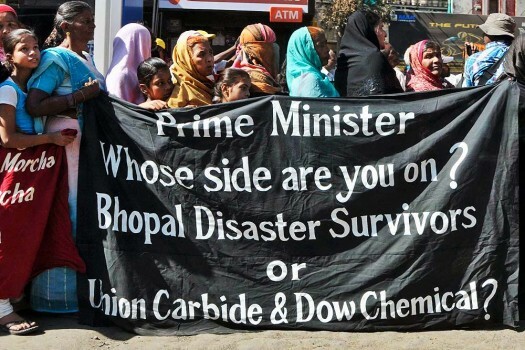 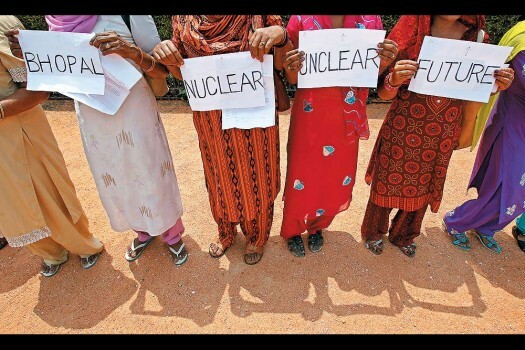 On the 33rd anniversary of the world’s worst industrial disaster, two organisations (Bhopal Gas Peedit Mahila Udyog Sangathan and Bhopal Gas Peedith Sangharsh Sahayog Samiti) working here among the victims of the Union Carbide gas disaster of 1984 have shared the pictures with Outlook. 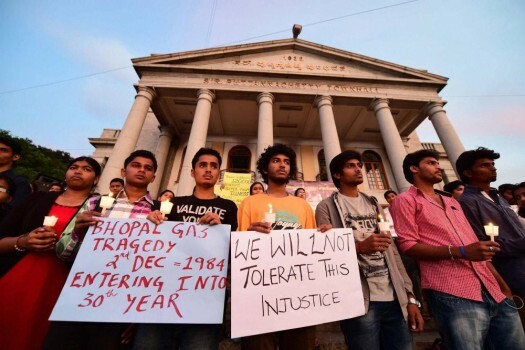 Bhopal Gas tragedy, the world's worst industrial disaster claimed the lives of 25,000 people in 1984.